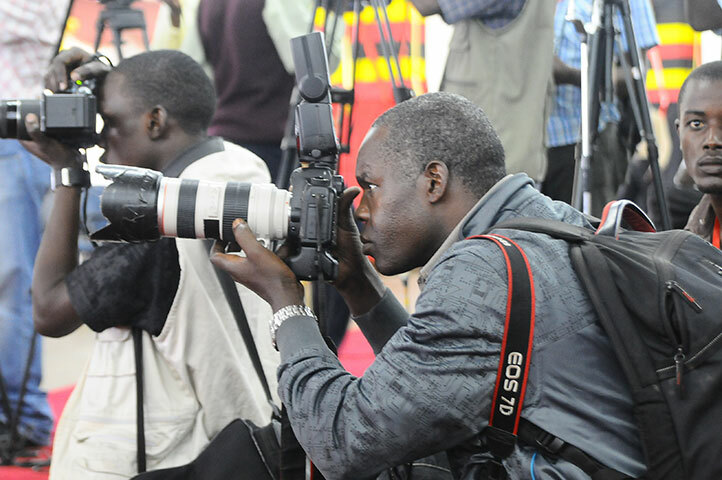 KAMPALA – Ugandan authorities have since last month blocked registration of foreign journalists seeking to work in Uganda the access to accreditation documents, a requirement for them to operate in the country. According to Section 29(1) of the Press and Journalists Act, all foreign journalists who wish to report from Uganda to get accreditation from the Media Council of Uganda through Uganda Media centre. The accreditation is considered complete if the journalist pays the specified fees and is issued a card. Foreign journalists applying for accreditation are expected to present a cover letter from their employer addressed to the Executive Director Uganda Media Centre, stating the purpose of their visit, two passport size photographs, and a scanned copy of their passports, filled in form G.
According to a statement issued by the Foreign Correspondents’ Association of Uganda (FCAU), an umbrella organisation of journalists working in Uganda for foreign news-media, over ten journalists wishing to report in Uganda have not been given accreditation despite fulfilling the requirements and following the procedures. According to the association, although the process has been quick and straightforward in the past, applicants are now being tossed by the media council. The association notes that it is unfortunate that this is happening at a time when rights of the media in Uganda are being violated. “FCAU is also concerned that this action comes at a time when journalists in Uganda are experiencing a tougher working environment following the arrest of an opposition politician [Bobi Wine] last month,” FCAU adding that preventing international journalists from working in Uganda adds a troubling recent pattern of intimidation and violence against journalists. “Stopping a number of international media houses from reporting legally inside Uganda is another attempt to gag journalists,” the organisations wrote also calling on the authorities to allow the media to work freely and safely in Uganda. However, Mr Ofwono Opondo, the Executive Director the Uganda Media Centre said that government has any right to refuse or accept such journalists seeking to work in the country. “It’s the prerogative of the government of Uganda to grant accreditation to any foreign persons including journalists seeking to work in Uganda upon satisfactory assessment,” Mr Opondo said. President Yoweri Museveni recently attacked international media accusing them of being used to achieve imperialists’ interests by reporting that Uganda is in bad light. Mr Museveni in a letter to the Speaker of Parliament the Rt. Hon. Rebecca Kadaga late last month said that international media are filling the world with malicious stories about Uganda.